Tokyowheel relies on SimScale to run analyses on their specialized racing wheels. Average simulations ran 30 minutes and used 16 cores. Image courtesy of Tokyowheel. Founded in 2010 and based in Japan, Tokyowheel is a highly specialized company that engineers technical carbon fiber racing wheels for competitive cyclists. Their carbon wheels for road, triathlon and cyclocross bikes provide significant performance improvements through decreased aerodynamic drag of the wheel shape, and the decreased mass of the lightweight carbon fiber construction. Tokyowheel used snappyHexMesh for meshing and mesh refinement. Image courtesy of Tokyowheel. As the first company in the industry to offer free shipping worldwide, and delivery free from customs tax, Tokyowheel is the leader in international direct-to-consumer sales of performance bicycle wheels. Engineering aerodynamic wheels nowadays requires the use of CAE (as opposed to historical methods of prototyping and wind tunnel testing). Whilst historical methods certainly produced competitive results and moved the industry forward, they were time-consuming and required significant resources. CAE can provide similar results in a lot less time and with a significantly smaller investment. Computational fluid dynamics (CFD), in particular, is prohibitively expensive, with annual subscriptions usually costing tens of thousands of dollars. To this, the SimScale platform is the solution and the engineers at Tokyowheel realized it was a perfect fit for their products. SimScale enabled them to perform fluid flow analyses of strategically different wheel designs in parallel and in a timely manner. A traditional local computer-based system would have severely limited the number of design experiments that could have been run in a given time period. By using SimScale’s cloud-based platform, Tokyowheel’s team was able to run more simulations, and in turn iterate more design changes. Each design change was quickly implemented in CAD, and immediately tested in the SimScale environment to guide further work, which resulted in a better final product. After producing a CAD model of the wheel along with a MRF domain, the geometries were uploaded into the platform for meshing. In essence, a virtual wind tunnel was set up to mimic a real-world cycling environment. The domain contained a moving floor and the wheel geometry. The wheel was then rotated about its axis in an angular velocity that matched the tangential velocity of the floor. The inlet air speed entering the wind tunnel was set to match these conditions. With SimScale, Tokyowheel was able to run more simulations for faster design changes. Image courtesy of Tokyowheel. The simulations include a variety of wind angles (yaw angles) to generate drag values across the entire spectrum of riding conditions a customer may encounter. All of these parameters, and their consequent boundary conditions, produced strikingly impressive results. The manual snappyHexMesh was used for meshing, with an added rotating region approximated by the MRF method. 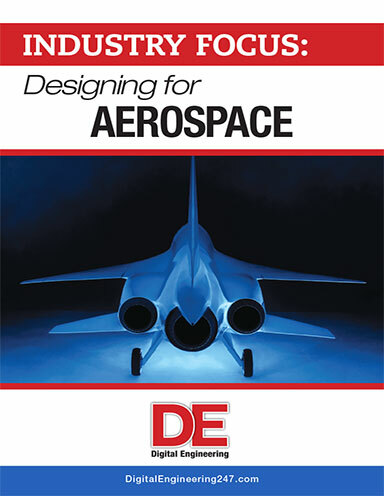 Mesh refinements consisted of turbulent boundary layer refinements and surface refinements. A number of challenges were faced along the way – most notably, establishing the boundary conditions and meshing errors. All these challenges were overcome with the SimScale training videos and personal 1:1 tutoring. The simulations were 30 minutes long on average, using 16 cores. Ultimately, the engineers at Tokyowheel obtained drag force values on both the axis of travel, and the perpendicular axis. The resultant data was crucial for the determination the most aerodynamic wheel profile. After testing multiple designs, they were able to move forward iteratively and converge on a significantly more aerodynamic wheel design. “Our next steps will be completely iterative as we test more and more rim profiles, at different yaw angles, and compare the data. The results of our CFD simulations direct much of the design and manufacturing process. We will also be comparing our CFD results to wind tunnel data during the later stages of development, in addition to testing the designs with real cyclists on the road. 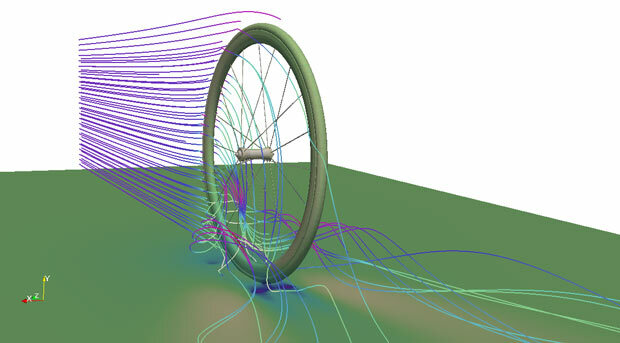 We are confident the improvements that the SimScale CFD simulations have provided will result in a significant benefit to our customers’ cycling performance,” said Joel Cy Scott, production engineer at Tokyowheel.